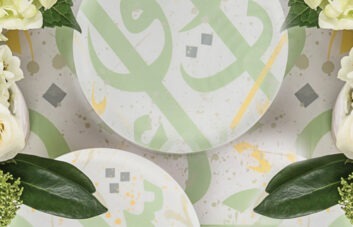 At Silsal we adore colors. From rich green to on-trend coral, we understand that they have the power to lift our mood and even calm our anxiety. But, while we all have a different favorite, there is one color that unites us all: turquoise. And it seems it isn’t just the Silsal team who are head over heels for this perfect hue! 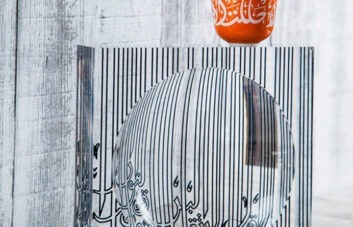 From the domes of the Shah Mosque in Iran to the doors of North Africa, and Andalusia’s tiled Alhambra Palace to the mosques of Samarkand, turquoise has long been popular in Middle Eastern and Islamic architecture. Some believed turquoise reflected the heavens; others said the shade represented water, and therefore life. 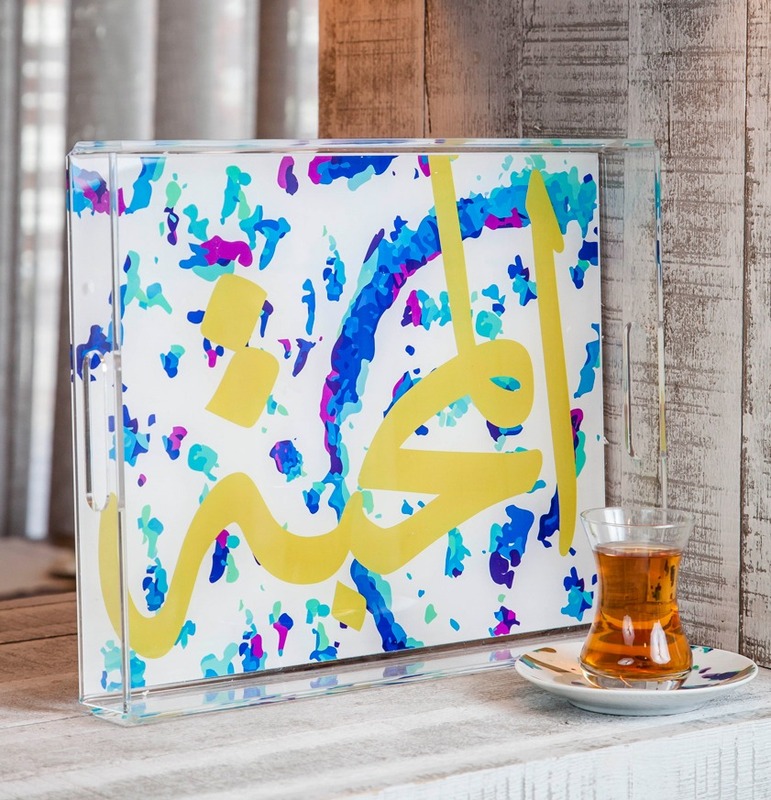 Inspired by the magnetic shade, Silsal’s Fairuz collection, which literally translates to turquoise, is a celebration of this much beloved color. 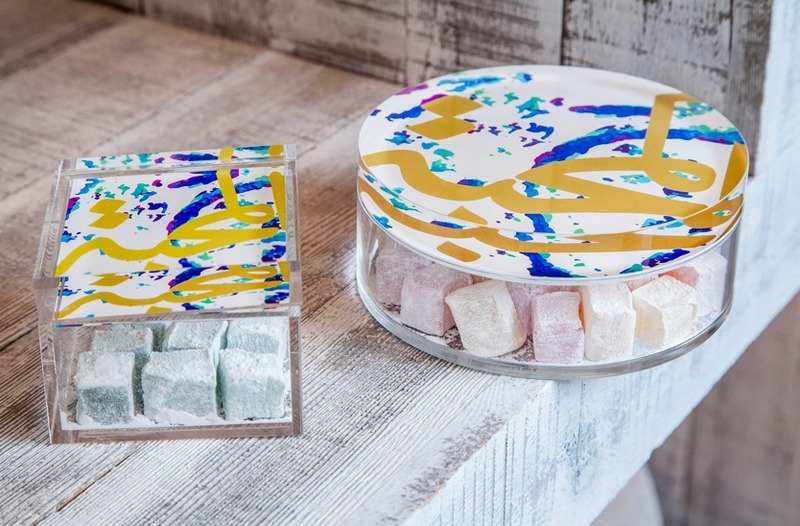 The new line combines the signature turquoise with other rich tones of blue, green and purple found in the artwork, tiles and arches of the region – reminiscent of the magnificent peacock feather. 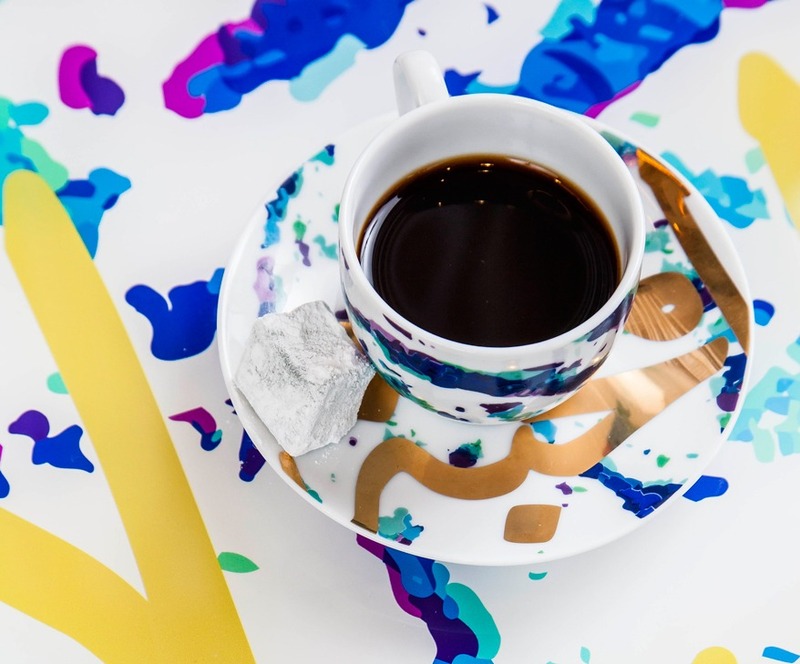 The collection features porcelain drinkware, which act as a canvas for the vibrantly colored design, reminiscent of a Monet watercolor. 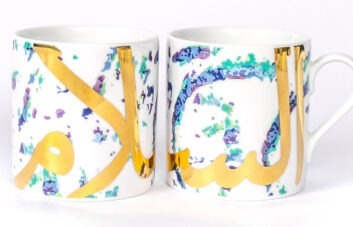 The patterns are further embellished with bold strokes of striking gold calligraphy, celebrating the three words ‘Al Salam, Al Mahabah and Al Karam’, which translate to ‘Peace, Love and Kindness’. 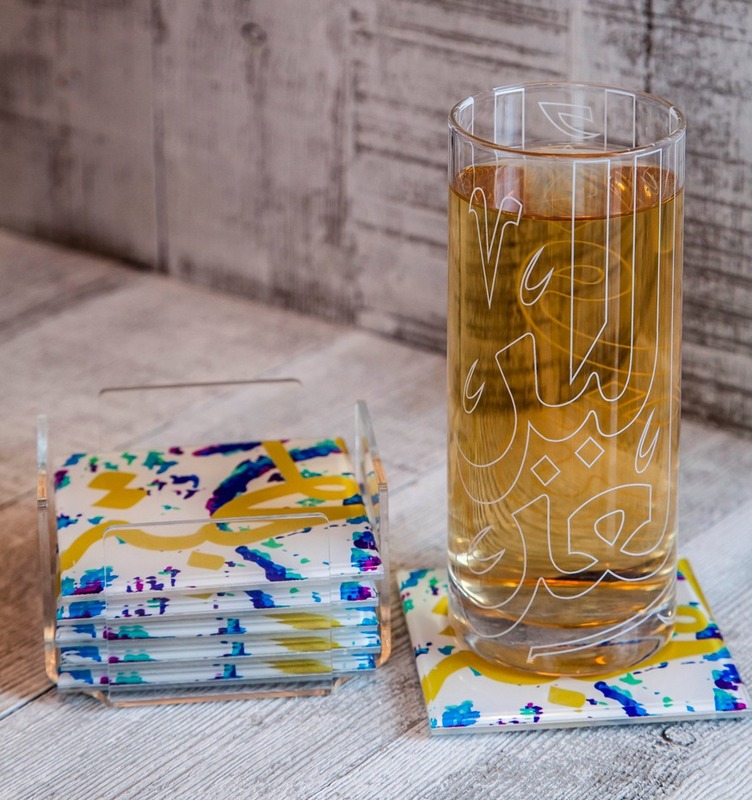 The extensive collection also includes a range of of modern trays, tissue boxes and coasters made using durable plexi. 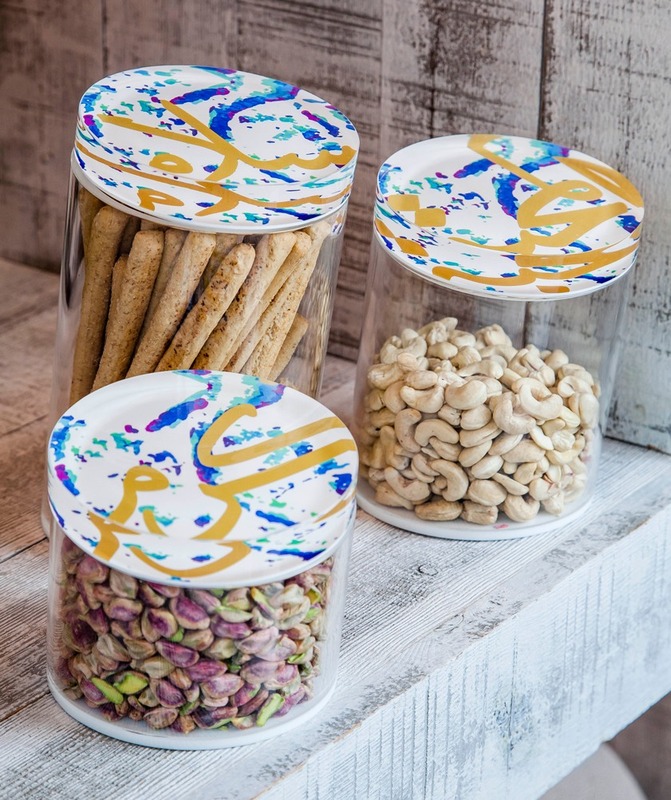 The Fairuz line also features containers and keepsake boxes, ideal for storage and decoration, or, the perfect gift, once you fill them with dates, chocolates or potpourri! 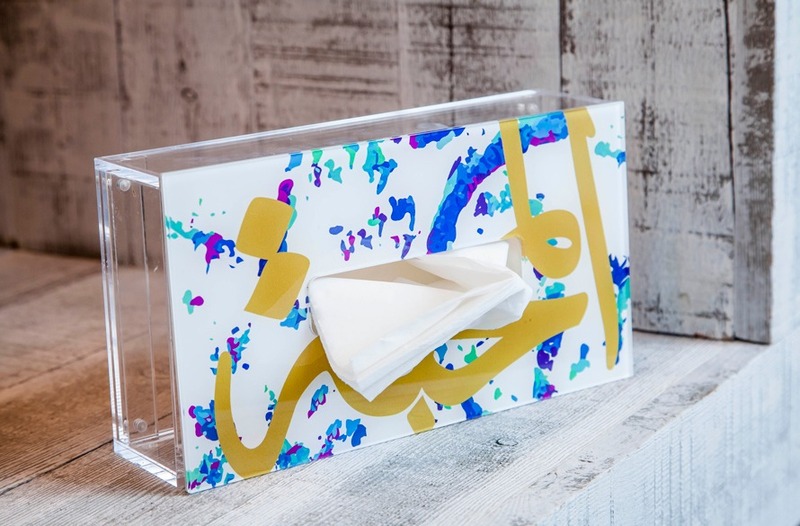 With its modern treatment of the ancient love of turquoise, the Fairuz collection not only evokes the art and colors of the Middle East, but its values and spirit.